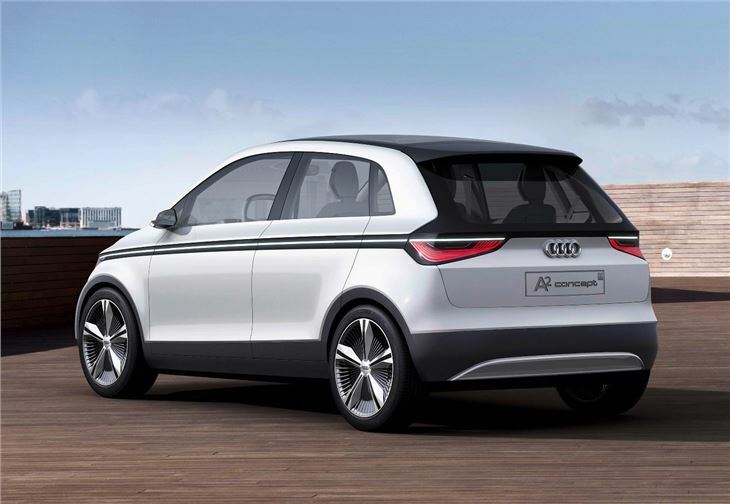 After teasing at the new A2 concept with a selection of sketches, Audi has released more detailed pictures and further information on the electric four-door city car. 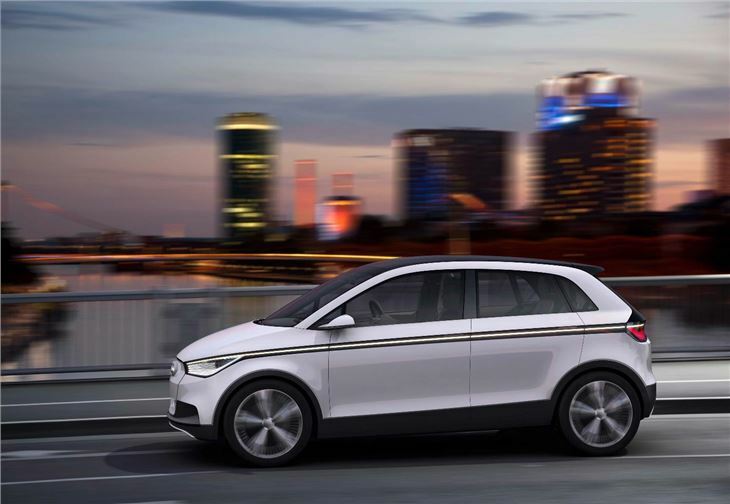 We’ve covered the details of the exterior design here, and in its latest release Audi has released information on the electric powertrain, along with some of the technology. Drive comes from a 116PS electric motor, which produces 270Nm of torque. 0-62mph takes 9.3 seconds and top speed is limited to 93mph. Charging the battery takes 1.5 hours from a 400-volt charger or 4-hours from a 230-volt charger, providing 124 miles of range. The design also permits contactless charging. One of the most impressive technologies implemented in the A2 is ‘Semi-autonomous driving,’ a system which takes over the controls of the car from the driver in slow moving traffic. The system can be overridden by the driver at any time, as with adaptive cruise control. The headlights of the A2 Concept are made up entirely of many small LEDS, which can be activated individually to provide perfect illumination of the road, depending on the circumstances. The rear foglight consists of laser diodes which illuminate water droplets in the fog in the shape of a triangle. Because of the nature of laser light it is only visible in fog, and not in clear conditions. The interior is light and open, with space for four adults and luggage, despite the cars small exterior dimensions. Thanks to the electric drive system there is no transmission tunnel, allowing free passage through the vehicle. The roof is opaque but can be made transparent by pressing a button, making the cabin even more light and airy. Most of the functions of the car are controlled by two large touchpads near the steering wheel, with the left hand touchpad used for changing gear, using a shift-by-wire system, and the right hand pad controlling media and air conditioning functions. An MMI infotainment system is installed with Google Maps navigation system included, as well as WiFi connectivity to allow users to surf the web. 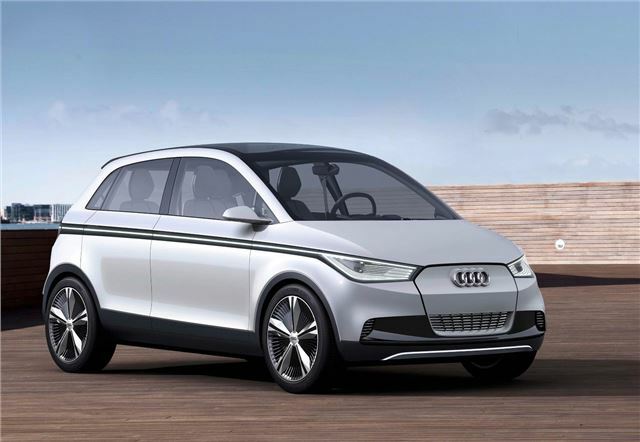 Audi will display the A2 Concept at the Frankfurt Motor Show, and we’ll be covering the whole show live here.